A third of Brits say that travel is their priority for 2017, above traditional resolutions like spending less time on social media, getting better sleep and eating more healthily. Exploring the world is now the main focus for millions of Brits, also beating spending more time with family and learning a new language. Italy emerged as the number-one dream destination, with one in five planning to visit the country this year. This was followed by Spain, America and Australia, with the Caribbean and even Iceland appearing in the top 10. The survey commissioned by Travel Republic of 2000 British adults found 41 per cent have never failed a New Year’s resolution, while those who don’t stick at it usually give up after just four months. Forty five per cent of respondents said their top travel resolution for the year was to visit a place they’d never been before. Twenty per cent aim simply to do more travelling than last year and 18 per cent want to learn about a destination’s history or culture. One in five Brits put visiting Italy at the top of their must-visit list and the Mediterranean country also saw Rome’s Colosseum emerge as the top worldwide landmark for visitors to tick off their bucket lists. This was followed by The Great Wall of China, and a bit closer to home the Eiffel Tower and The Louvre featured in the top ten. 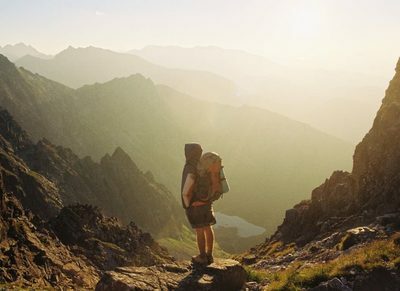 According to the research, less than half of Brits describe themselves as ‘well-travelled’, providing the motive for setting New Year’s resolutions around travel. The average Brit takes two holidays per year, and – no doubt influenced by the cold weather and returning to work after Christmas – is most likely to plan their year’s main trip in January. Unsurprisingly, the weather is the top consideration to holiday bookers, with six in 10 respondents putting it ahead of the hotel, the landmarks and local culture. While on holiday, over a quarter of Brits said that they develop a better relationship with their partner and it’s a good time for a family to bond. And for 10 per cent their travel resolution for 2017 is to go on a multi-generation holiday.